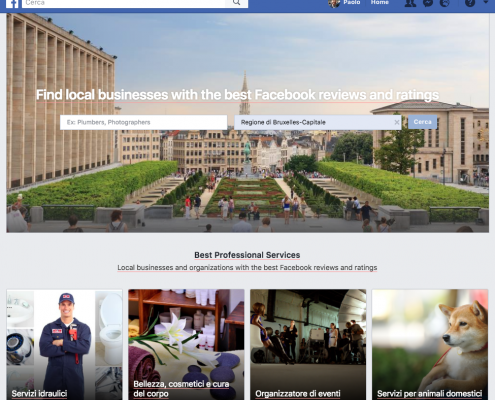 Facebook Professional Services is a new feature – still unannounced – that can be the next big thing for local search in 2016. Update: it’s 2018 and the feature hasn’t been announced or promoted yet, but it’s still there, quite useful. With this move Facebook is entering as a direct competitor of platforms such as Google Places (recently re-shaped as My Business), Yelp, Foursquare, Tripadvisor and others in the #local search market. 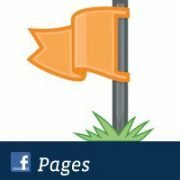 All Facebook Pages with a physical location will be listed in their respective primary business category and cannot avoid users rating/reviews – in fact, to remove the possibility that users leave reviews the page does not have to be associated with any physical location (e.g. brand pages). 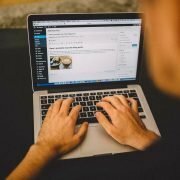 All pages can be linked to up to three categories, but only the main one will be relevant for indexation in Professional Services – mind that if you do not see your Page listed yet. Ranking high and with a good rating is crucial to business success. Many prospective customers look for confirmations about their possible choice right before they are going to buy – what Google calls micro-moments. This fact applies in particular in mobile local search, but at the moment, Facebook Professional Services are only available on the desktop. Maybe a dedicated app will be released at some point? In Facebook Professional Services, ranking level is determined by a combination that takes into account number of reviews and rating (and possibly other variables such as engagement, page authority, reviewers authority, etc.). Therefore, having many reviews is the first step to being sure that a local service ranks in the top ten – there are ten results per page/category/city. Besides, rating from relevant users is also important: generally a page with 70 reviews and an average rating of 4.4 ranks better than a page with 20 reviews with 4.9 average rating. Are you looking to improve your local search ranking? Have a look at this Local SEO Guide for Businesses by Brad Richardson (Caseo, Canada).